If the status of your booking request is Pending, you can cancel the booking request without contacting us. Go to your Dashboard and click on the booking request you'd like to cancel. On the right-hand side of the page, there will be a Cancel Booking Request button. Click the button. A pop up will ask whether you are certain you would like to cancel the booking request. Check that you are cancelling the correct booking. If it is the correct booking request, click Cancel Booking Request. The status of the booking will be changed to Cancelled by Brand. 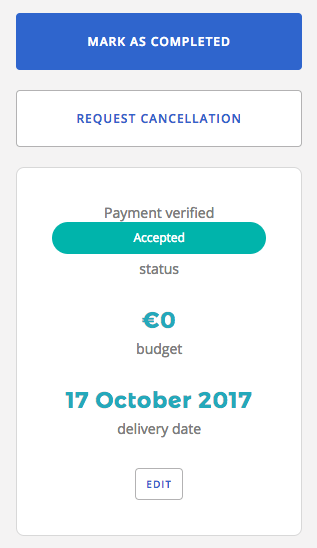 If the status of the booking request you'd like to cancel is Accepted, you will be required to provide us a reason for the cancellation. Go to your Dashboard and click on the booking you'd like to cancel. 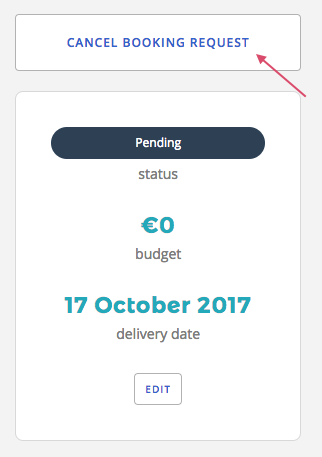 On the right-hand side of the page, there will be a Request Cancellation button. Check to make sure you're requesting to cancel the correct booking. If you are sure, click the button. 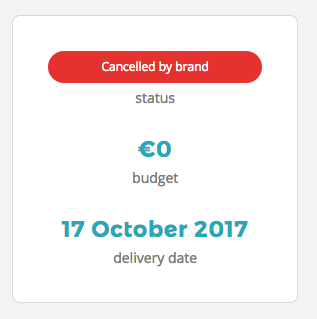 You will be asked to provide a cancellation reason. If none of the reasons provided apply, click Other. You will be asked to provide us with a written response. You will receive an answer to your cancellation request within 48 hours.